DRM (Digital Rights Management) is a pain to all people who get videos from iTunes. Not being able to play it on the platform of your liking and then not being able to share it makes you feel constricted. It stifles your legal right to make a backup of your purchased material and makes the content susceptible to becoming inaccessible. That is the reason that The Electronic Frontier Foundation (EFF) and the Free Software Foundation (FSF) consider DRM to be an anti-competitive practice. However, there are some tools available for you that allow you to remove DRM from your purchased work so that you can use it as you want to. TunesKit DRM Media Converter for Windows and Mac, though not exactly cheap, is a one of investment if you have a lot of media that is DRM protected and you are interested in breaking this digital lock. It is a small installation on Windows of around 2 MB and it automatically launches iTunes when you launch Tuneskit DRM Media Converter or relaunches it if iTunes is already running. It will detect the media from iTunes and you can select which all media files you want to convert and in which format (MP4, M4V, etc.) without losing any audio or video quality. It uses an innovating algorithm which accelerates the conversion speed from DRM to non-DRM up to 30X faster than the video duration. Probably one of the best things is that it keeps AC3 5.1 Dolby surround sound, AAC stereo tracks, AD, CC, subtitles, etc. intact in the converted files. 1. Launch the software and click on "Add Files" button to import the media files from iTunes. Choose the TV shows or M4V files you want to remove DRM from and click on Ok button. This will bring in the files to Tuneskit Media Converter screen. You can also directly drag and drop the files to the Tuneskit Media Converter main screen. 2. Once the files are visible on the main screen, select the output audio tracks and subtitles as you want. If there are multiple audio tracks you can select to keep them all, one of them or none at all. 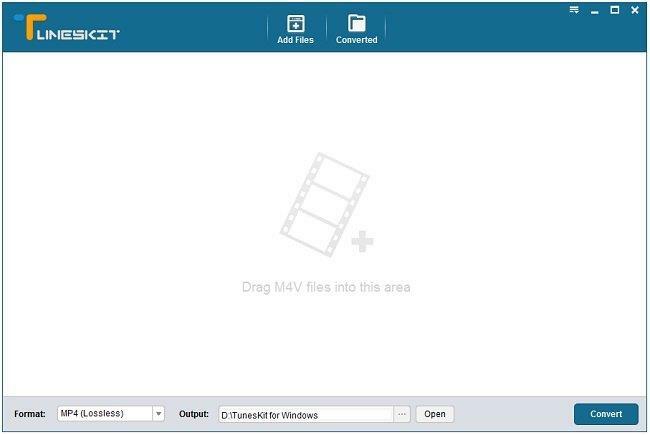 Now select the Output format from lossless M4V or MP4. Click on Convert button to convert DRM video to non-DRM video and within a few seconds or minutes you output file will be ready. There is also an option to convert the file into audio only which is, of course, a limited use case when you want to listen to just music while traveling and want to conserve the space by leaving out the video. 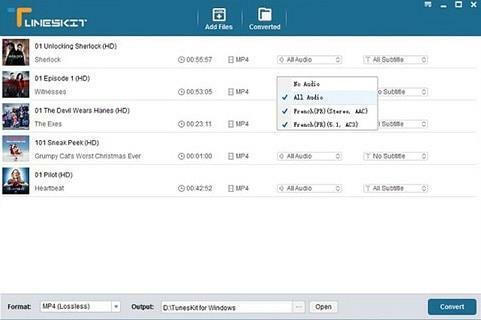 Tuneskit DRM Media Converter is a good way to let you use your bought videos on your other devices or keep their back. However, it also lets you convert videos on rental which is not a fair use case and I would let you yourself decide what your consciousness tells you is right. The conversion as already mentioned is lossless which means you get the same quality as of the original video you play on iTunes. The speed of conversion will also depend on your own computer specifications in addition to the 30X faster speed as claimed by Tuneskit. Bottomline, would I recommend this software? I definitely would!